Sept. 11, 2018 — The last two states to nominate candidates prior to the Nov. 6 general election will host primary elections this week. Voters in New Hampshire, Rhode Island, and New York will go to the polls today, Wednesday, and Thursday, respectively. New York held its federal primary on June 26, but the nominees for state offices will be chosen on Sept. 13. The Ocean State features the only Wednesday primary in the nation. Two other states voted on a Thursday (Tennessee and Delaware), and one more on a Saturday (Hawaii). All others voted on Tuesdays. 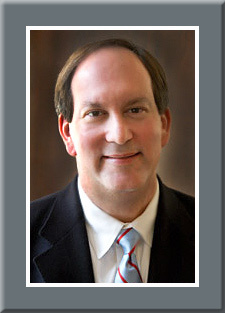 Louisiana will hold its jungle primary concurrently with the Nov. 6 general election. If no candidate receives majority support the top two finishers, regardless of party affiliation, will run-off on Dec. 8. The other post-general run-off will occur in Mississippi. If no candidate receives majority support in the Nov. 6 special US Senate election the top two finishers, again irrespective of party affiliation, will advance to a secondary Nov. 27 election. First-term Gov. Chris Sununu (R) runs for a second term even though he was just elected in 2016. New Hampshire and neighboring Vermont are the remaining two states that hold a gubernatorial vote in every regular general election. The governor is unopposed in tomorrow’s Republican primary, while Democrats feature a battle between former state Sen. Molly Kelly and ex-Portsmouth Mayor Steve Marchand. Kelly is favored for the party nomination, but Gov. Sununu will begin the general election as a heavy favorite. Politically, New Hampshire has swung more wildly than any state for a decade, so any result is possible here. The big attraction is the open 1st Congressional District, a seat that has defeated more incumbents than any in the nation since 2006. Rep. Carol Shea-Porter (D-Rochester) originally won this seat in 2006. She then lost (2010), won (2012), lost (2014), and won again (2016). Now, she is retiring. 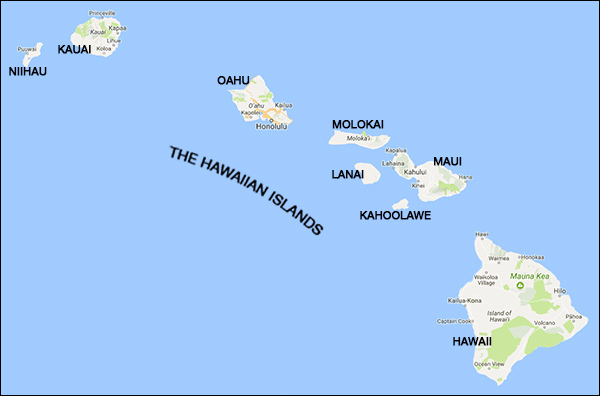 Aug. 13, 2018 — The Hawaii primary was held on Saturday, and while Rep. Colleen Hanabusa (D-Honolulu) began her Democratic primary challenge as a virtual favorite to deny Gov. David Ige re-nomination — at one time she led by more than 20 points according to several polls — the incumbent rebounded to score a 51-44 percent victory. Winning the Democratic primary is tantamount to claiming the general election, meaning the November contest between Gov. Ige and state House Minority Leader Andrea Tupola (R-Kapolei), the new Republican nominee, is likely to be a mere formality. Rep. Hanabusa was originally elected to the House in 2010, defeating then-Rep. Charles Djou (R-Honolulu) in that year’s general election. In 2014, she challenged appointed Sen. Brian Schatz in the Democratic primary after the passing of veteran Sen. Daniel Inouye (D), who served in Congress from the day when Hawaii became a state. Hanabusa returned to the House in 2016 when her successor, Rep. Mark Takai (D-Aiea), passed away from pancreatic cancer. Quickly after making her way back to Washington, however, the congresswoman decided to launch the intra-party challenge to Gov. Ige who himself had unseated a Democratic governor, Neil Abercrombie, in the 2014 primary campaign. 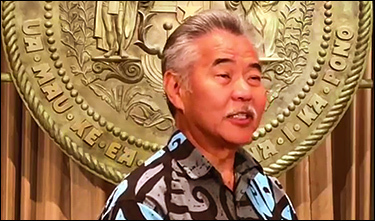 Ige hit rock bottom in this contest when a false alarm catastrophic missile attack warning was unleashed, sending panic throughout the islands, and his poll numbers unsurprisingly dropped precipitously in the aftermath. But he rebounded to re-generate support from his Democratic base, improve his job approval ratio, and substantially increase his lagging fundraising operation. Polling had detected the momentum change within the last two weeks of the primary cycle, and an Ige lead was being widely reported as the two candidates headed into the election’s final days. The Democratic turnout was 242,413 voters, most of whom voted early, which is about 5,000 more than voted in the last midterm when Ige defeat then-Gov. Abercrombie in a 66-31 percent landslide margin. By contrast, Saturday’s GOP turnout was only 31,134 individuals. Aug. 10, 2018 — Hawaii voters go to the polls tomorrow for a rare Saturday primary in what will likely be an election to choose a governor. The Democratic primary winner is a lock to carry the general election, and Gov. David Ige and US Rep. Colleen Hanabusa (D-Honolulu) have been in a tough intra-party battle for months. Ironically, Gov. Ige came to office in much the same way that Rep. Hanabusa hopes to succeed. That is, defeating a sitting Democratic governor in the primary. Four years ago, Ige, then a state senator, challenged and easily defeated incumbent Neil Abercrombie in a 66-31 percent Democratic primary thrashing. For a time, it looked like history might repeat itself. Early in the race, and not long after the false missile attack alarm that became a national news story, Rep. Hanabusa was staked to large polling leads. In a Mason-Dixon Polling & Strategies mid-March survey, she led the governor, 47-27 percent. In late June, Q-Mark Research, polling for the Hanabusa Campaign, projected their candidate to a whopping 57-31 percent advantage. July 6, 2018 — Last Saturday’s election of Republican Michael Cloud (R-Victoria) to fill the vacant southeast Texas district (TX-27; Farenthold resignation) reduced the total number of open House seats from 65 to 64. Within that group, 42 seats are currently Republican held, 21 are Democratic; one seat is new, created by Pennsylvania redistricting and left open when Rep. Conor Lamb (D-Pittsburgh) decided to run in a paired incumbent race with Rep. Keith Rothfus (R-Sewickley) instead of opting for the new Republican-dominated western Pennsylvania CD-14. Among the 63 House members who have either passed away, resigned, lost their primaries, or are not seeking re-election, 23 chose to run for another office. Some of their political fates are decided, while others remain active campaigners. We we’ll look at those who became candidates for other offices and report on their current status. Today we’ll examine Arizona through Minnesota. On Monday we’ll review Nevada through West Virginia. Arizona 2 & 9: Reps. Martha McSally (R-Tucson) and Kyrsten Sinema (D-Phoenix) are both running for the Senate and may oppose each other in the open general election. Rep. McSally is engaged in a three-way Republican primary that will be decided on Aug. 28. Rep. Sinema is the consensus Democratic Senate nominee. Polling shows McSally as the favorite to win the Republican nomination. Early general election pairings find Sinema leading the race from 7-11 points. Jan. 17, 2018 — As we continue setting the stage for the 2018 midterms now that we are in the actual election year, in a two-part series, we review the announced candidate status in each state, since much has changed in the past few weeks.